You have a job to do, while the worst people are watching. Margaret had always been a good tenant. She kept her apartment tidy, made little noise, and usually just kept to her reading. That's what made it so much harder to report her to the authorities when they outlawed reading books by her favorite author for anti-patriotic messages. She was reading it when they beat her and took her away. I watched through the hidden cameras. The worst part of it all? I'm pretty sure my wife was reading the same book. 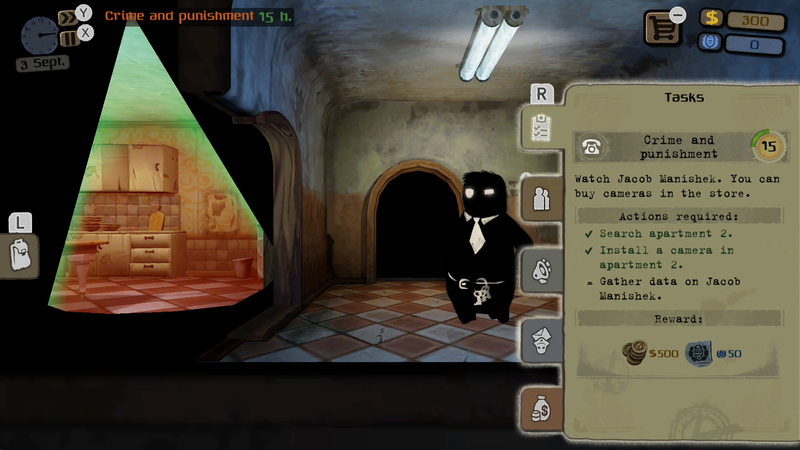 Beholder: Complete Edition is a totalitarian spy surveillance simulator. You play the role of Carl, the newly appointed landlord for an apartment complex in the middle of a country rife with government control, resistance armies, and conflicts therein. You have to spy on your tenants, profiling them and reporting them when they break one of the multiplying criminalization of personal activities. Meanwhile, a resistance group is organizing against this strong-armed leadership, with their goals and intentions often leading to your door. You have a family to take care of, a government watching over you, and rebels to assist or reject as you see fit. Beholder does a good job of earning your interest in the beginning. With only a few tenants, you can spend your time watching them from the cameras and rummaging through their things when they're not home. The nosy nature of this appealed to my sense of curiosity and drama. Compiling a list of interests and behaviors for the organization was fun. But as the game progressed, the stakes grew higher. Suddenly my son needed more school tuition, my daughter is sick, and the rebels are bribing me to weasel on a well-known propagandist that the government is forcing me to house. My curiosity grew to responsibility, which grew into fear. I was forced to make hard decisions, hoping I made the right one. The Blissful Sleep DLC, which is already included in the Complete Edition expands on the game even more. In this mode, the authorities have announced a new ruling that all 85-year-olds are to be euthanized to save community resources. The same day, you discover that the government has a clerical error on your file, claiming you're 20 years older than you really are, 65. Now you have two weeks to manage your building, appeasing the authorities, and trying to find a way to fix the error. Beholder gets it right in a multitude of ways. 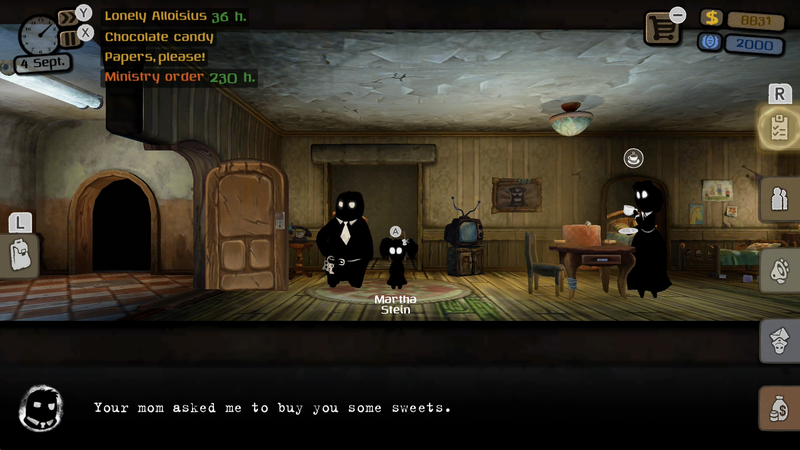 The art style is a crisp and effective embodiment of the bleak, tense world you're in. The gameplay is unique. And the game and story stay engaging until the very end. Only a few inconvenient fail states and annoyingly frequent homebodies hindered the game's overall experience. The entire game world is wrapped in dull, muted tones, fitting in perfectly with the second-world-country status. My favorite thing about it, however, was the black and white characters. Everyone, including yourself, is a black silhouette, with white lines detailing some distinguishing features. Even with those features, and the varying body sizes and shapes, it really draws in how unimportant everyone is in this world. Instead, everyone is what they are on paper. They're not your neighbor, they're Klaus, a 34 year old man with a liking for fishing, alcohol, and chess. No one is special, they're only another profile to be categorized and monitored for illicit activity. It was a fantastic representation of the game world. The gameplay itself is also on the unique side. Spying games are by no means a new concept. But this is the first time I've seen the concept of spying paired with the branching path, actions-have-consequences genre. It blended together tremendously well. This mix was also the key component in what kept the game fresh. I had nearly played through the entire game in a single sitting because it never grew old or stale. If one side was stretching long, the other picked up the pace. The game wouldn't have been the same without that well-calculated back and forth focus. Living under a totalitarian rule isn't all fun and game, unfortunately. A few issues were present in Beholder that was either hindering or just irritating. The controller layout, while understandable, was a regular conflict between me and the game. Unpredictable NPC and hard to see hallways made it difficult to snoop, and a number of unexpected fail states forced me to bear with an unskippable cutscene without warning. The player can access their information and inventory by using the L and R buttons. This is helpful in accessing these aspects quickly, but it would be the main cause of many instances of fumbling to do something quickly. One example is when you discover a noteworthy item in someone's apartment and you need to leave quickly. Recording the information pulls up the menu, which doesnt remove the item menu from the apartment. It was too easy to lose track of where and which menu I was in, and I'd frequently press the wrong button trying to close it so I can leave. NPCs don't make this problem any easier, either. While some folks will have a 9-5 day job. Others will behave a little less understandably. Sometimes they'll go downstairs for third lunch. Sometimes they just like to walk back and forth between the basement and their 3rd-floor room. Since tenants get angry when they catch you in their apartment, it was difficult to gain access to their rooms. This was even harder when they had a child. Go away, Jimmy! I'm trying to bug your home and you've walked in on me four times in the last 10 minutes! The final, most irritating problem was with a few of their fail states. As you may expect, doing the wrong thing at the wrong time would lead to either your death or your arrest, both of which leading to a game over. With each game over, you'd watch a short, unskippable cut scene narrating your failure. The problem? A single wrong decision, or even misclick, can lead to that. The first example was when I threatened to report a man with a history of violence, who decided that stabbing me in the hall would be more fun. The second was when I had accidentally attempted to pay a bill I didn't have enough money for. Instead of simply denying me, I was arrested for embezzlement. Points for creativity, but having to watch yet another game over screen because I accidentally pressed A was awful. While problematic, these issues were either infrequent or mild. The quality effort behind Beholder absolutely outweighs what drudges exist. The art direction is as memorable as the gameplay. And there's plenty of game time to be had. With all of this considered, we rate the game as follows. While enjoyable, the game never actually "wowed" me with anything too incredible. Lacking that mind-boggle or heart string-pull and the occasional inconvenience is what held it back the most. All the while, I definitely recommend getting the game for yourself and playing. It may not top your charts, but you won't regret it. Beholder: Complete Edition is available on Nintendo Switch for $14.99, this is the version and platform that was reviewed. 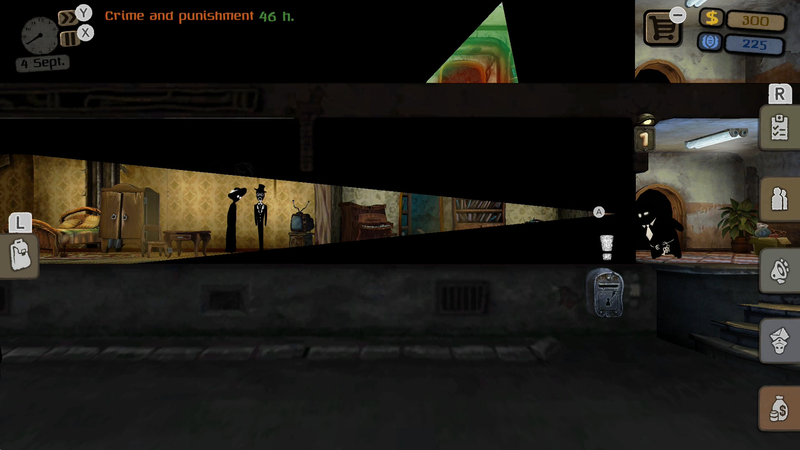 It was developed by Warm Lamp Games. The original version of the game is also available on Steam and mobile devices. For more information, including where to buy, visit the game's official website. A copy of the game was provided for the purpose of this review.